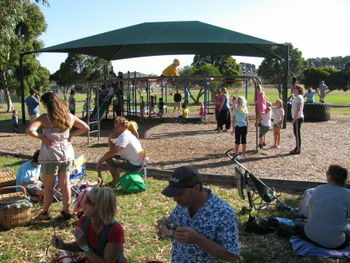 Tyabb Railway Station Primary School’s Annual Twilight Picnic. 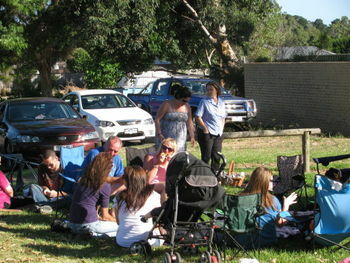 The picnic provides an opportunity for new families to meet the school community. Families are invited to bring their picnic dinner and rug to school and enjoy an evening of fun activities such as cricket, basketball, volley stars or playing on the play ground equipment while getting to know other families and staff. Playing with friends is fun.